Dimensions: 41 Inches Wide, 24 Inches Deep, 15 Inches High. Crisp and contemporary woven wicker highlights our Monaco coffee table. Use it on the patio, porch or total outdoor conditions for a worry free experience. 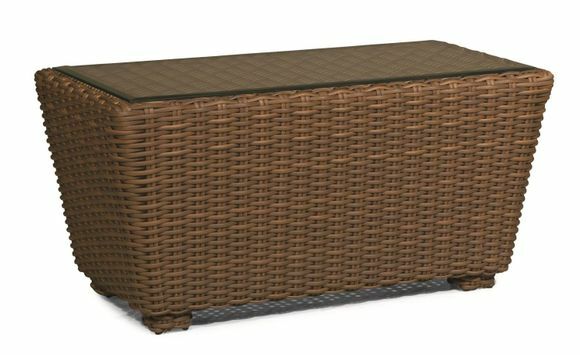 Outdoor wicker framed on aluminum, built for strength and aesthetic appeal. Buy yours today and pair it with our Monaco outdoor wicker sofa! 41 Inches Wide, 24 Inches Deep, 15 Inches High.